Located in southern Ontario, Waterloo is a city with nearly 100,000 residents. The City of Waterloo lies within the Regional Municipality of Waterloo which has a population of over 507,000. Waterloo is a growing city with high employment rates and two highly regarded universities. The leading sector in the city is the technology industry, but the insurance and service sectors are also large employers. Waterloo’s economy has proved resilient through recessions. For those looking to make Waterloo their home, immigration lawyer Matthew Jeffery is a leading advocate. Matthew Jeffery is one of the most experienced immigration lawyers serving clients in Waterloo. His professionalism and work ethic have proven successful in accomplishing his clients’ desired results. Clients can depend on him for his understanding of complex immigration law and his capacity to expertly navigate the immigration procedure to achieve success. Prospective clients in Waterloo will require assistance from a specialist who can answer their questions based on years of work within the region. Mr. Jeffery holds a law degree from Osgoode Hall Law School and is certified by the Law Society of Upper Canada as an immigration specialist. His elite education combined with his 15 years of experience ensure that all of his clients achieve their immigration objectives. 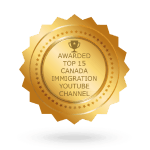 Whether you’re hoping to immigrate to Canada under the Canadian Experience Class visa, working in the tech or insurance sector in Waterloo on a work visa or as a permanent resident, or you’re are a Canadian citizen who wishes to sponsor your wife or husband to live and work in Canada, Mr. Jeffery can help attain the best result within their immigration process. Waterloo is home to two universities: Wilfrid Laurier, one of the fastest growing universities in Canada, and Waterloo University, world renowned for its work and research in mathematics and technology. For students entering Canada, earning a degree at either of these local schools can be a great step towards a bright future. In order to enroll, students coming from abroad must apply for a student visa through Immigration Canada. Mr. Jeffery has a wealth of experience in this area. His trusted team of immigration experts can help foreign students fill in and file the necessary paperwork with Immigration Canada to allow them to study in Canada. Mr. Jeffery and his staff can guide students through the process and answer any questions along the way. Matthew Jeffery is also a leading advocate for foreign nationals appealing their immigration status in Canada. 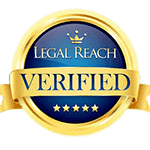 He can guide the appeal procedure and make sure his clients are completing the required paperwork according to strict government standards, thereby helping to assure a quick and successful conclusion to their appeal. Matthew Jeffery is a professional immigration lawyer in Waterloo. 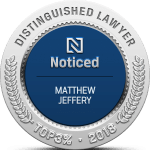 To learn more about Matthew Jeffery and his immigration expertise, contact his offices directly today!